Welcome to Amethyst Driving School! The Pre-licensing Course, also known as “the 5-hour course,” is a DMV-designed classroom course that provides new drivers with information which will help them drive safely. Usted seleccionará este curso si desea registrarse para el curso de Reducción de Punto en su Seguro. Al finalizar este curso recibirán una reducción de 10 % en su seguro de automovil y también reducir hasta 4 puntos en su licencia de conducir. Driver’s Education, Fast/ Rush Road Test Appointments, Point and Insurance Reduction Courses, and Car for the Road Test in Brooklyn, Queens, Staten Island, NY, Long Island, Upstate and etc. Experience secure and effective driving regardless of the road conditions with proper training by Amethyst Driving School. Apart from our comprehensive courses, car for the road test, and fast/ rush road test appointments in Brooklyn, Queens, and Staten Island, our company delivers top notch education through our instructors. Duly certified, accomplished and experienced, our driving instructors are thoroughly qualified to guide each and every student towards smart and safe driving practices. Whether you’re new to driving or require a refresher course, our team will teach you with competence, promptness, patience, and responsiveness to match your specific needs. Cars equipped with dual pedals - avtoinstruktor always insures you. At Amethyst Driving School we offer the 5-hour classes Three times per week, and we incorporate a preview of your road test that you won’t get anywhere else! 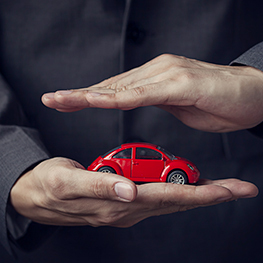 10% Insurance Premium Reduction Completing the New York DMV-approved Point and Insurance Reduction Program (known as PIRP and IPIRP, the online course) provides a 10% reduction, for 3 years, of the motorist’s liability, no-fault and collision insurance premiums. New York State-certified, our driving instructors offer classroom instruction, online courses (coming up), behind-the-wheel training, as well as rush or fast road test appointments in Brooklyn, Queens, Staten Island, Long Island, Upstate and Etc. It is my belief that an instructor should not only be a skilled driver but also at heart, a teacher. My personality traits such as patience, love for driving, and ability to explain the material, allows me to teach effectively. On average 97% of my students pass their Road Test on their first try. am a driver for over 30 years and have never had an accident for which I am very proud of. The reason for this is because as a driver I am always 3 steps ahead and can predict any movement that will occur. This allows me to be ready for any and all driving situations and to teach others to do the same. I've been enjoying driving a car for many years. My goal as an instructor is to teach each and every student to drive a car in a safe and easy manner, as well as to enjoy the ride. How should one go about accomplishing this goal? I have an accident-free record of driving a car in different countries, and I can attest to coaching sports champions in racing. My approach during instructional driving is based on using psychology and individual needs of each student. I will make it my personal goal to get to a successful outcome in teaching my student to drive. Another important point that I'd like to make is about safety: I want to make sure that my students know how to stay in control at all times, which actions to take to correct certain mistakes and which mistakes they can never afford to make. Best of luck on the road to everyone!!! have been serving NYC with its 2 branches and completed 5k+ students in last 10 years. We have a team of experienced and certified trainers who will help you from the start to end of a driving lesson.